At CES 2018 Corsair once again presented a range of updated and new products geared at expanding their product line with new and innovative ideas. 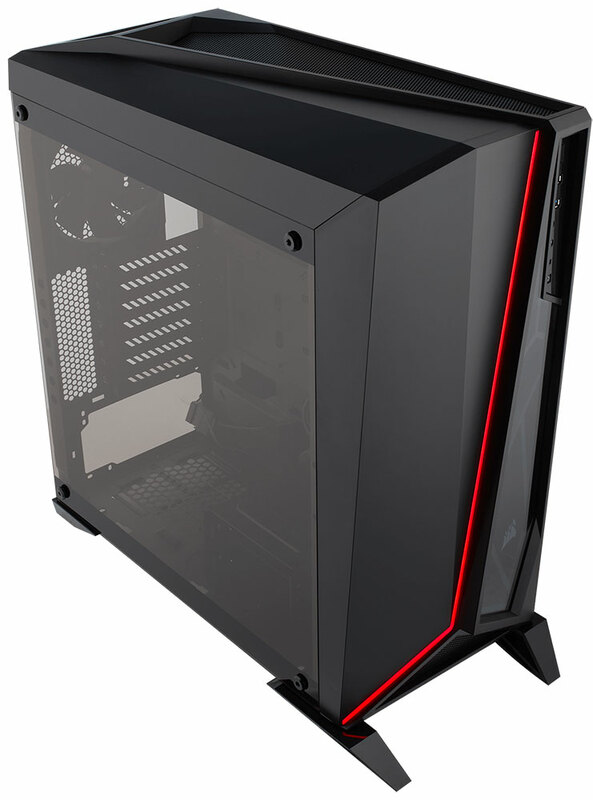 While we are still in the half of 2018, Corsair has already launched several new computer cases, Obsidian 500D, Carbide 275R and the Spec-Omega. 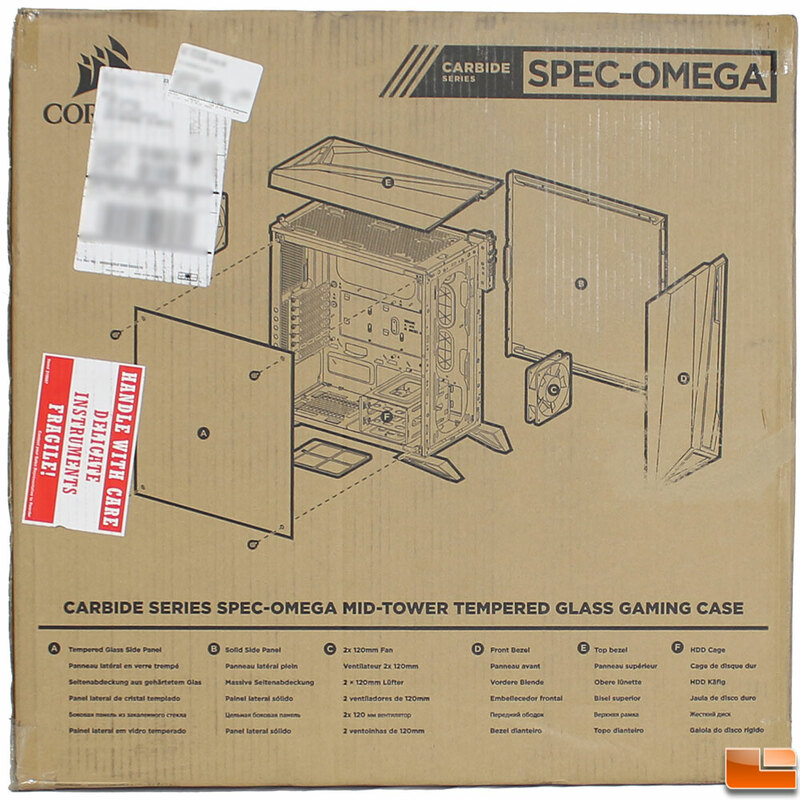 Today, we will be taking a look at the Spec-Omega (specifically the White model with part number CC-9011119-WW), a Mid-Tower ATX case, that features a Tempered Glass side panel, built-in LED lighting on the front panel, and an angular design for a unique look. The Spec-Omega is currently available for purchase with white, red or black exterior accents. The black or white versions run $89.99 with free shipping, while those looking to make a statement can pick up the red version for just $85.09 shipped. 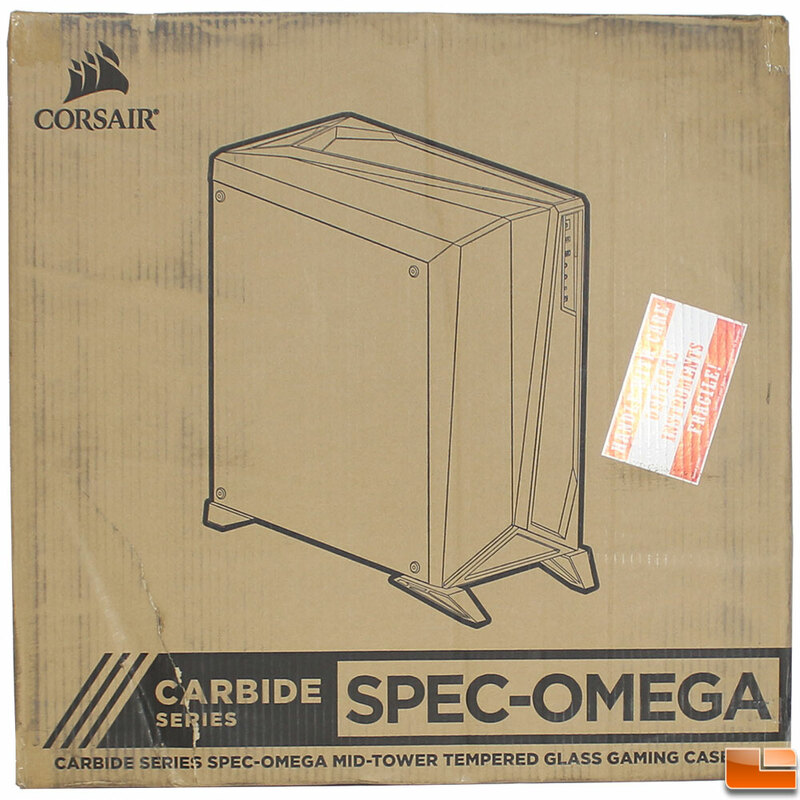 In addition to the previously mentioned features, the Spec-Omega also features multiple cooling options, which includes support for up to a 360mm radiator or up to six 120mm radiators; Corsair includes two SP120 fans with the Spec-Omega (one LED and one standard). Storage options include support for three 2.5in on the back side, along with two 3.5/2.5in drive trays; not to forget about the dual USB 3.1 Gen 1 ports. 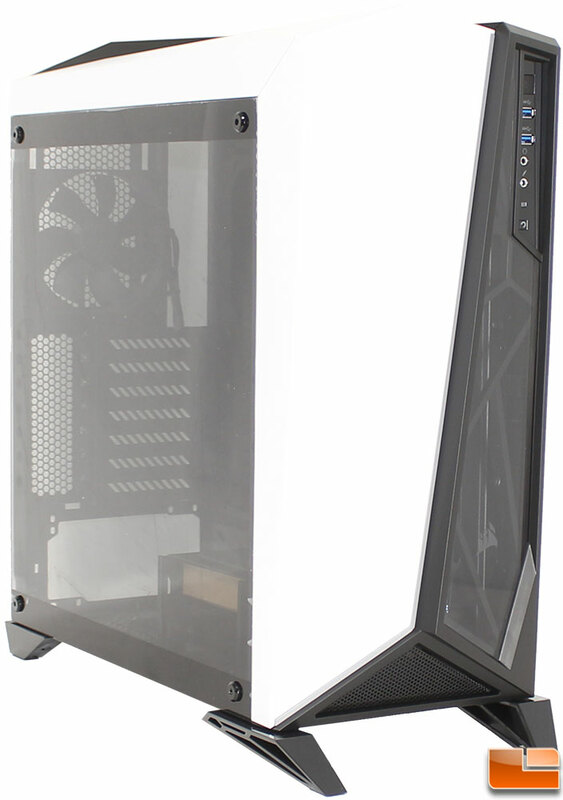 It will support all modern graphics cards up to 370mm in length, all inside a case that measures 495mm x 232mm x 516mm or 19.5in x 9.13in x 20.3in. 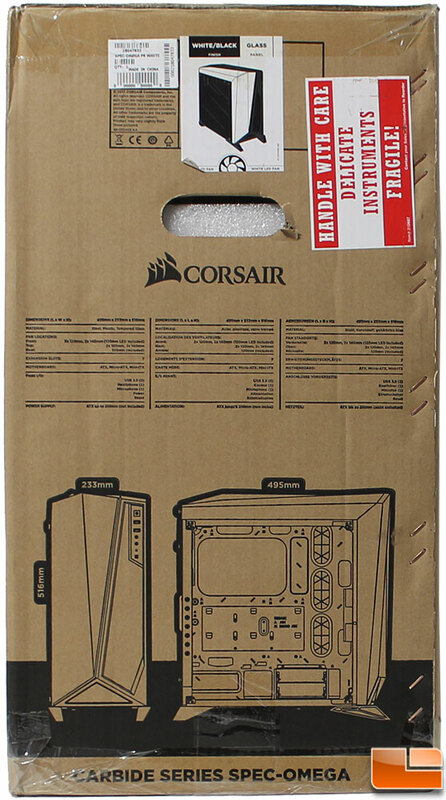 Continuing with the modern trend of keeping the packaging simple, Corsair packs their cases in a standard printed cardboard box. This keeps the printing costs down, while still being able to protect the case and provide plenty of information for a consumer if they should purchase this in a retail setting. In typical fashion, the front of the box, provides a little information; generally an overview picture of the case, and the model. For the details, you turn to the back of the box where you find an exploded view of the case. Some specifications are listed in multiple languages on the sides of the case. Of course, for detailed features and specifications, you have to go to their website. Opening the box, the case itself is packed in a plastic bag, and nestled between two large foam blocks. Interestingly the manual is taped to the foam blocks, which has a purpose. 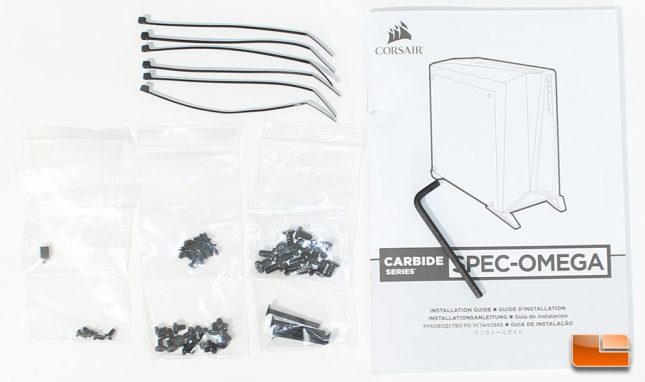 Corsair is known for including a well thought out accessory pack with their cases. 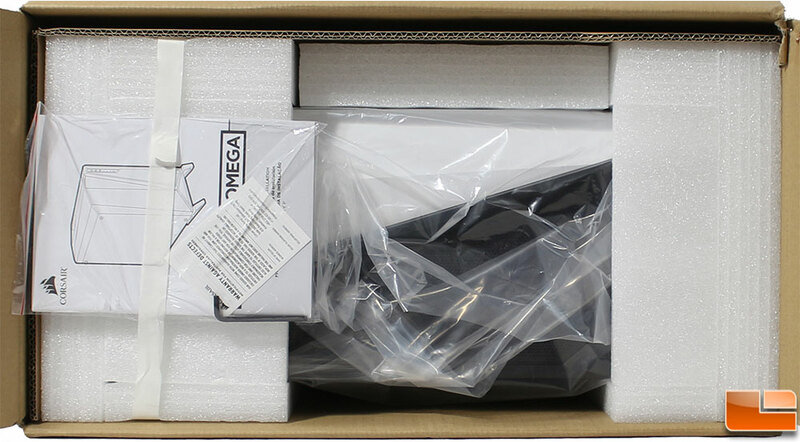 The Spec-Omega includes six cable ties, one additional motherboard standoff, four SSD pan-head screws, sixteen motherboard, sixteen SSD flat-head screws, sixteen short fan screws, and four long fan screws. Included with the previously mentioned user manual is a standard hex-key; we’ll see shortly why this is needed and why Corsair made sure it was easily visible with the user manual. 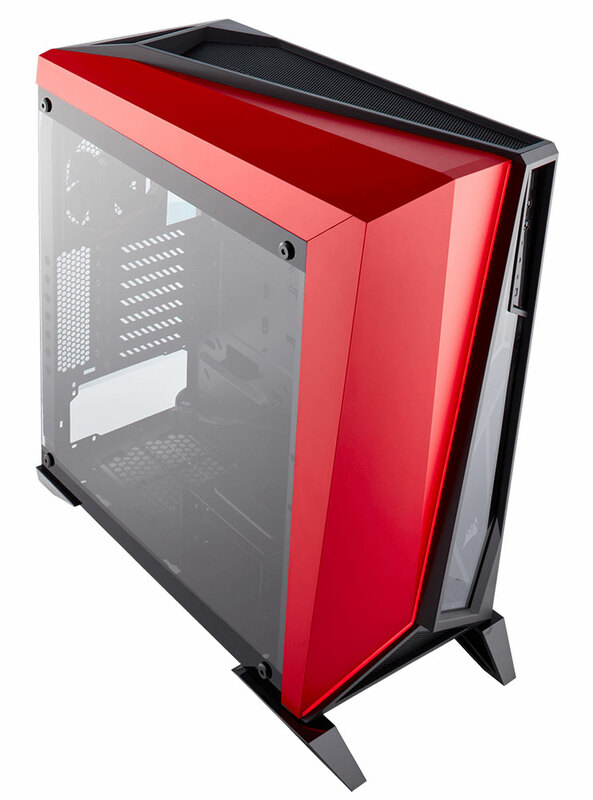 The Corsair Carbide Spec-Omega is available in three colors, White/Black, Red/Black and Black. Other than the obvious color difference, there are two other side differences. The White model includes a White LED accent light on the front, and a White LED fan. The other two models have a Red accent light, and a Red LED fan. Let’s take a look at what the Corsair Carbide Spec-Omega has to offer.